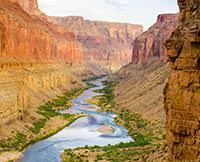 You Haven’t Seen the Majesty of the Colorado River and the Grand Canyon Until You’ve Taken a Rafting Trip With Western. Great trip preparation from the very first contact with Western River Expeditions. 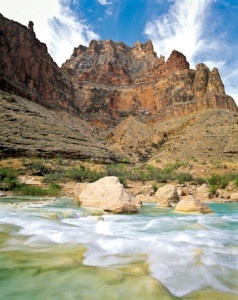 A diverse set of camp sites from sandy beaches to natures rock formations that offer starry nights, the sound of the river, and the beauty of the Grand Canyon to lull you to sleep. The whitewater rapids may vary in intensity but top notch Western guides will get you through safely. There are several options for seating on the "J" rig raft that serve the all out adventurous to the more cautious. You meet a lot of great people. Great cuisine...who would have thought Banana's Foster with ice cream in the dessert? Shrimp cocktail, cowboy size steaks, fresh guacamole dip to name just a few.